A Genoa Township man currently on death row lost his final appeal Monday after the U.S. Supreme Court announced it would not be hearing his case. 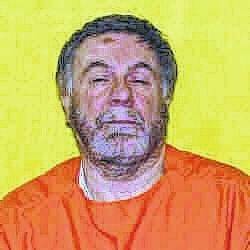 Gerald Robert Hand, 67, is currently incarcerated in the Chillicothe Correctional Institution, where he has been since June 24, 2003, shortly after he was convicted of two aggravated murder charges and sentenced to death for murdering his wife and a friend. Hand was originally scheduled to be executed on Sept. 8, 2003, but has been appealing the verdict since his conviction. His latest appeal, filed with the U.S. Sixth Circuit Court of Appeals in April 2016, alleges that there were several constitutional violations in the case. The alleged violations include: the court failing to adequately question jurors about news coverage of the trial; Hand’s attorney failing to present expert psychological testimony at sentencing; and the jury convicted Hand based on insufficient evidence. A hearing was held before the Sixth Circuit Court of Appeals on Jan. 26, and on Sept. 8, the court issued a ruling in the matter, denying Hand’s petition. Hand then appealed to the court, asking for a new rehearing before the full court of appeals. On Oct. 18, the Sixth Circuit denied that petition for a new hearing. Hand’s attorney then filed a petition to hear the case with the U.S. Supreme Court on Jan. 12, and on Monday, the court declined to accept the case. With no remaining appeals, the county prosecutor can now ask the Ohio Supreme Court to set a new date of execution. No date had been set Monday afternoon. The case was prosecuted by then-Delaware County Prosecutor Dave Yost and assistant county prosecutors David Gormley and Marianne Hemmeter. Hand told police that an intruder entered his home and shot Jill. Hand said he picked up two pistols and shot at the intruder not realizing it was Welch. Police found Welch’s body in the driveway of a neighbor’s house and reported he had been shot several times in the face, chest and back. Prosecutors contended that Hand conspired with Welch to kill Jill Hand for life insurance money and double-crossed Welch on Jan. 15. Prosecutors said Hand killed Welch to silence him about their plot to kill Jill Hand and two of Hand’s previous wives. Prosecutors said that on Jan. 15, Hand killed his wife, then waited for Welch to arrive before killing him. The trial lasted four weeks, and the jury deliberated for eight hours. Hand was sentenced to death on June 4, 2003.